Queen will release a 40th anniversary box set edition of their 1977 album classic, “News Of The World”, on November 17. Led by the stadium anthems “We Will Rock You/We Are The Champions”, the UK band’s best-selling studio release peaked at No. 3 on the US Billboard 200 on its way to worldwide sales of 6 million copies, including 4 million in the States alone. The 2017 3CD/1DVD/1LP package delivers engineer Bob Ludwig’s 2011 remaster of the album alongside two discs of bonus tracks, a DVD of a new one-hour documentary, and a pure analogue re-cut of the original vinyl LP direct from the unmastered analogue master mix tapes. The disc of bonus tracks features a variety of previously-released but hard-to-find versions of “News Of The World” tracks recorded in concert, for radio shows, or in alternate mixes, including the band's entire five-song final live session recorded for BBC Radio in October 1977. 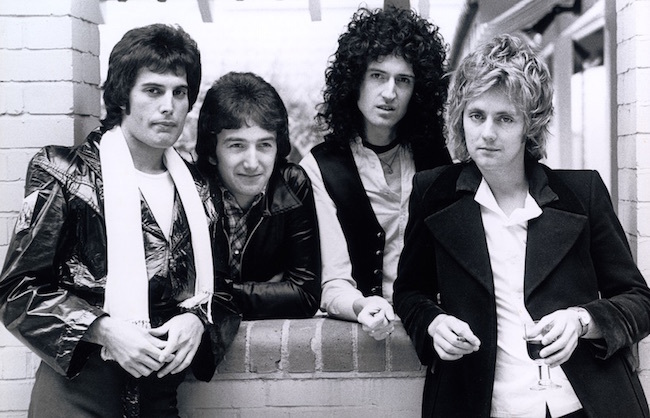 The DVD documentary “Queen: The American Dream” offers material filmed – on and off stage – during Queen’s 1977 US tour in support of the record, including footage from a Houston concert late in the year. The 40th anniversary edition is rounded out with a selection of memorabilia from the period, including three posters and a 60-page book of images. A special limited-edition picture disc of the album is only available through pre-order from the official Queenonline webstore. The pairing will next launch a European trek in the fall, starting in Prague, Czech Republic on November 1; the run will include the band’s first full British tour in almost three years.